I'm going 21st this year. It's means I've passed my bully scene 8 years ago, eight mean infinity and I swear it will never happen again to me. It was junior high and I just hated to know that people know me as a black chinese. I just hate when people talking about religion, or what ethnic you are. I'm pure chinese and so what? I just born different and I never regret about how can I born like this because everybody is bless for their parents. Chinese not always with their white skin or their narrow eyes, you should respect with the "other" chinese that born unusual. See Chinese also wore soft-lense to make their eyes look bigger. So, it's just about how you accepted yourself. And I'm sure people that still talking about it is one that will never go forward and see the world. I still not treated well because of ethnicity at work, sometimes I am tired but sometimes I feel happy they are remember me even with something unpleasant. Hey why don't you just take care of yourself rather than mock backs? Everybody talks back like neon trees said. So, I have so much time to blog now (because I'm no longer working at my pie shop) and I'm enjoy my self and dress whenever I want. By the way, see my beautiful babies? 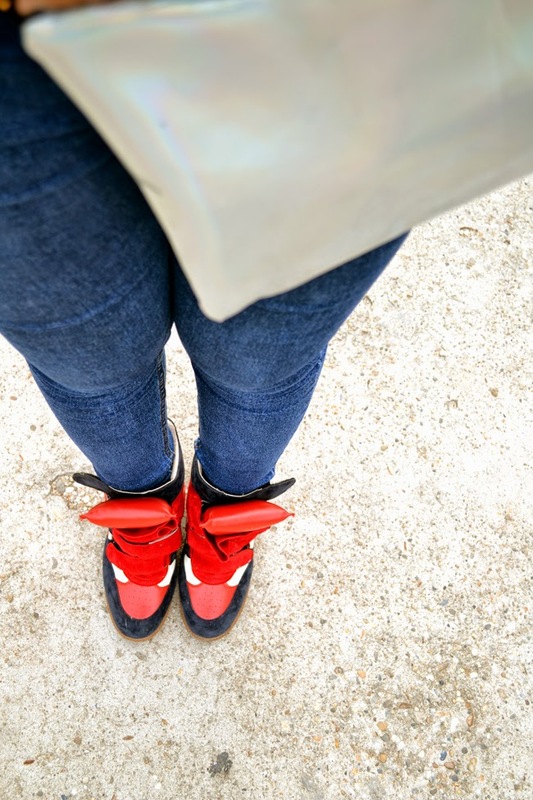 This is the most comfortable sneaker wedges that I ever have! See you on August post.